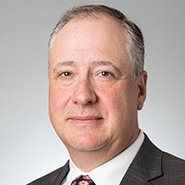 MILWAUKEE — The national law firm of Quarles & Brady LLP today announced that Charlie W. Cousland has joined the firm’s Real Estate Practice Group in the role as Partner in its Milwaukee office. The focus of his practice is on real estate transactions and leasing, real estate development and construction and land use disputes. Cousland also advises corporate, institutional and financial clients in mergers and acquisitions, commercial lending, joint ventures, capital formation, shareholder/partner disputes and corporate governance. Cousland is a member of both the Milwaukee Bar Association and Waukesha County Bar Association. He previously served on the Board of Directors for Notre Dame Middle School. He also served on the Executive Board for the Potawatomi Area Council Boys Scouts of America, and as the President, Vice President and a Board Member for the Sharon Lynne Wilson Center for the Arts. In addition to his community involvement, Cousland is a co-author of A Guide for Wisconsin Nonprofit Organizations, Second Edition, published by the State Bar of Wisconsin. He was also recognized in Best Lawyers in America in Real Estate Law. He received his Bachelor of Arts from University of Michigan and his Doctor of Law from Marquette University Law School.